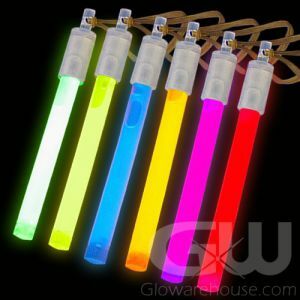 - Assorted Color Mix 4 Inch Glow Stick Pack! 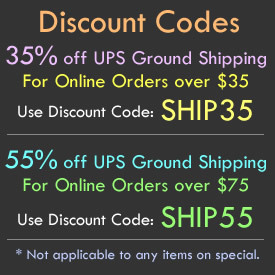 - Includes Green, Blue, Red, Yellow and Pink! - Comes with Removable Cap with Elastic! - Special Events! Trick or Treating! Fundraisers! 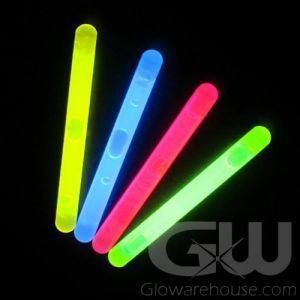 Light up your party with all of your favorite colors with the 4" Assorted Color Glow Stick Pack! 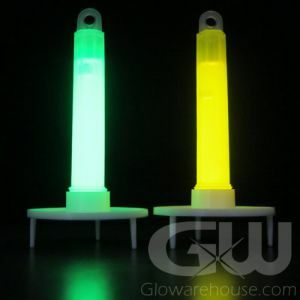 The 50 piece 4" glow stick pack comes with 10 each of Green, Blue, Red, Pink and Yellow colors. 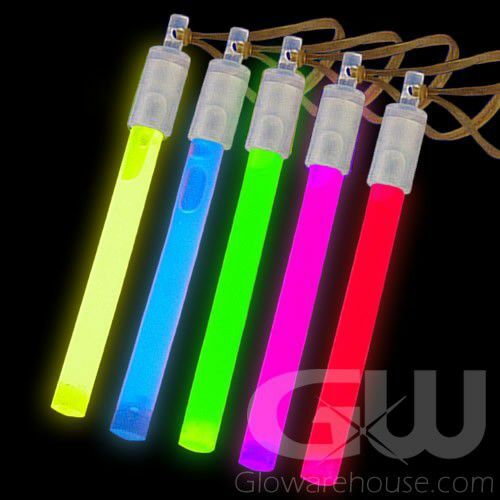 The fun, bright 4" glow sticks have a removable cap with an attached elastic loop so you can hang, hook or attach the 4" glow sticks to pretty much anything! 4" sticks are ideal for Halloween costumes, birthday and glow parties, as night sports markers or for fairs and festivals. 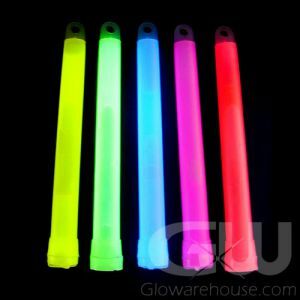 The glow duration is up to 8 hours long which means these light sticks are sure to make it through the night! 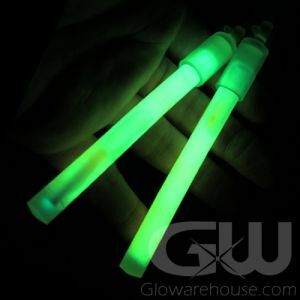 To activate the 4" glow stick, just bend it enough to break the internal glow capsule. Shake to mix and light it up!